If you want to experience a romantic weekend getaway, your search for places to stay in the Saratoga Springs, New York area is over. Just book the tranquil guest suite at Swedish Hill Farm + Spa. You won't need to journey far to relax - you're only steps away from a full-service day spa. If you want an exfoliating facial or a couple's massage, our staff will help you make an appointment. 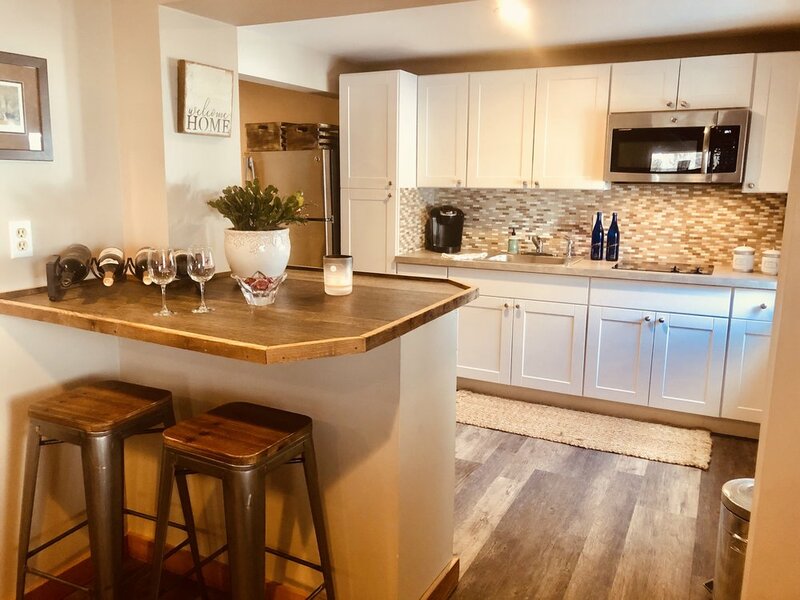 If you're interested in other activities, you'll be close to the historical racetrack, SPAC, Saratoga Lake, hiking trails and vibrant downtown of Saratoga Springs. After a weekend in the countryside, you'll feel totally renewed and ready to take on the world. To make a reservation, go to our Airbnb vacation rentals page by selecting the button below. We hope to see you soon! Instead of considering run-of-the-mill places to stay in the Saratoga Springs New York area, choose a different kind of place where you can take in the scenery and relax. The cozy, newly renovated guest suite at Swedish Hill Farm + Spa is designed to showcase the beauty of our property while offering a tranquil oasis for your slumber. Visit our Airbnb vacation rentals page by selecting the button below for more details.